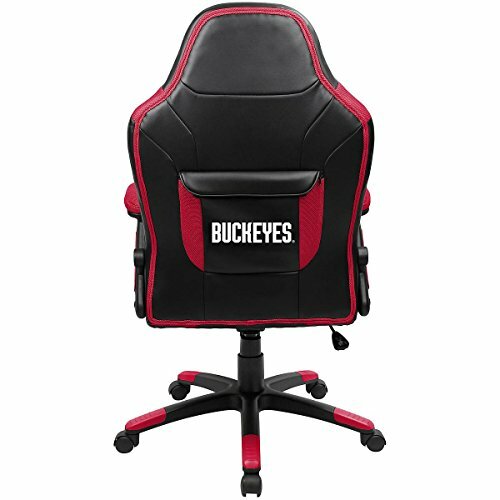 Support your favorite team while playing your favorite online game, listening to your favorite music or just watching TV in your collegiate oversized gaming chair. This is the most comfortable gaming chair you can buy! Oversized Seat and Back for extra comfort. Embroidered logo on headrest. Memory Foam in seat & padded armrest. Unique pouch to keep gaming accessories handy and protected. 350mm� black powder coated Nylon base & Butterfly� tilt mechanism. Officially licensed by the NCAA. Dimensions: 45.75" x 26" x 49.5". Made in China. Model: IMP334-3015.